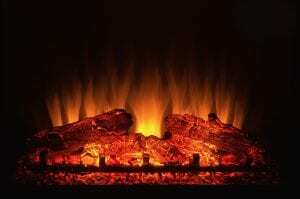 If you’re looking to have a fireplace installed in your Jackson, Tennessee, home, 31-W Insulation is the place to call. For more than 40 years we’ve been helping homeowners all across the country upgrade their homes, and one area that we specialize in is the installation of fireplaces. We can install a beautiful wood-burning fireplace that will make cold winter nights a wonderful opportunity for snuggling up. Or if your home does not have a chimney, or you simply don’t want to deal with the hassle of cleaning up ash and soot, we also offer a number of gas- and electric-powered options that provide the same warmth and ambiance of a traditional wood-burning fireplace for a fraction of the cost. During your initial in-home consultation, a member of our team will sit down with you to explain the many features and benefits of the products we offer. They will make suggestions based on your target budget and the architectural aesthetic of your home, and after you select the fireplace, they will set up an installation time that is convenient for you. Installation will be completed by our highly skilled, factory-trained installers—never a subcontractor—and no matter which unit you choose, you can be sure that it will be installed in accordance with any area emissions regulations. For more information on the different fireplace options we offer to homeowners throughout Jackson, TN, and surrounding areas, or to schedule a free initial consultation with one of our representatives, contact 31-W Insulation today.